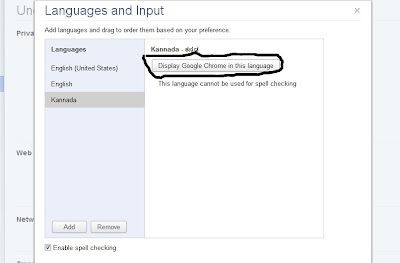 Splendour eye: How to use Google Chrome in your Local Language ? 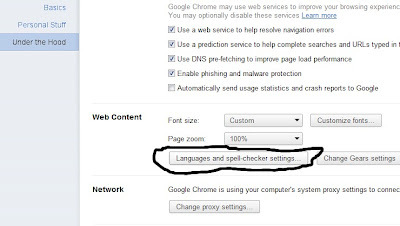 If you are here to know how to use Google Chrome in your local Language, Continue reading.. Note that your language may not be supported by Chrome. > Click on Settings button, located at the right end of your address bar. 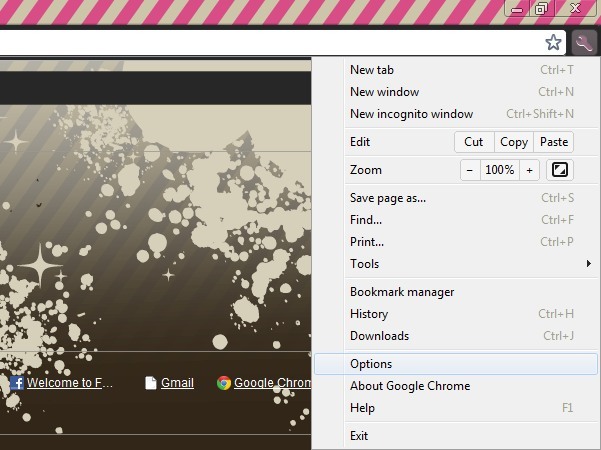 [Or type chrome://settings in your address bar]. 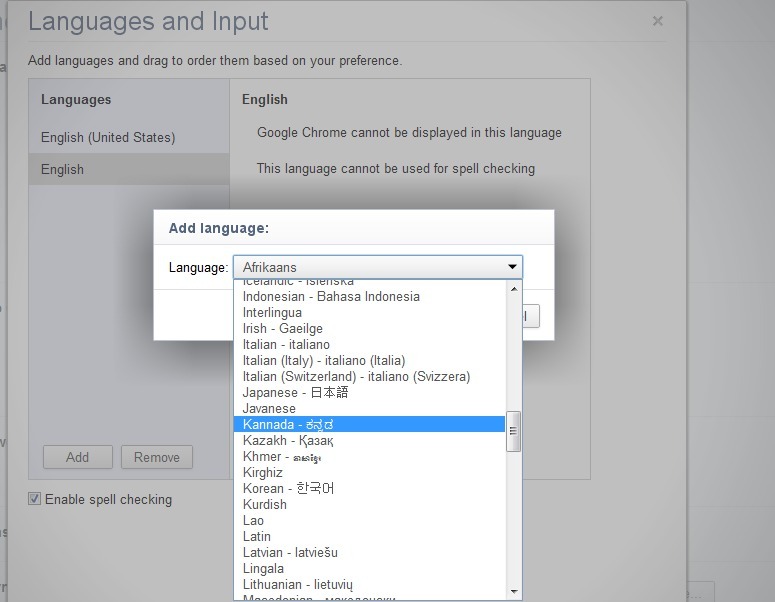 > Select Options, and click on "Under the Hood". 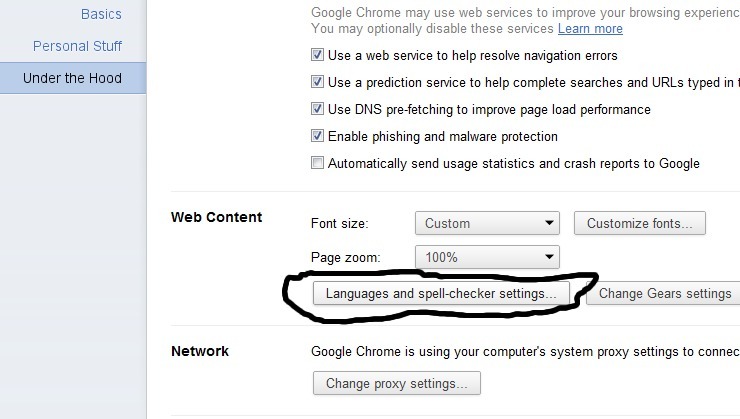 > Under "web content", Select "Language and Spell Checker Settings". 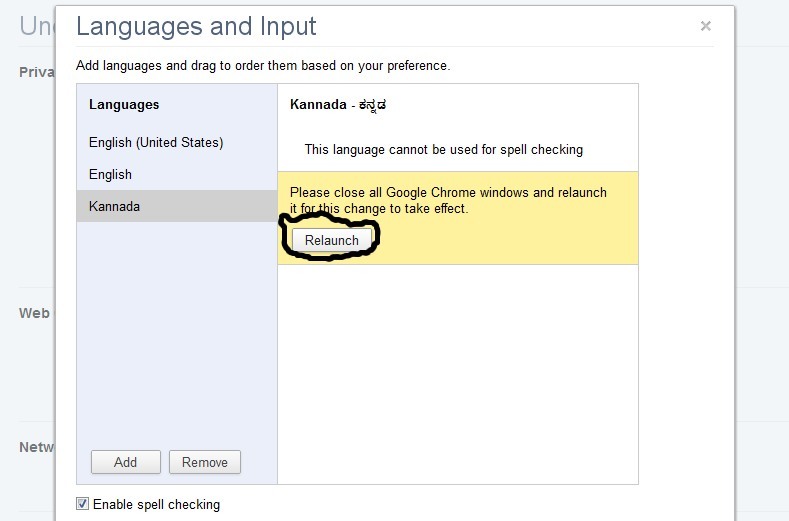 > Click on Add button, Select your desired language from the drop down menu and click ok.
> The browser will ask to relaunch for changes to take effect. 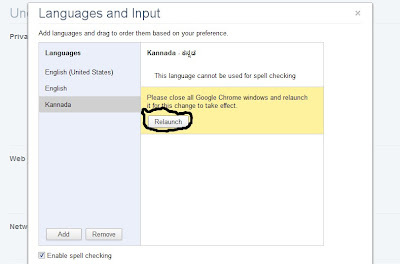 Click on Relaunch. Thats it ! 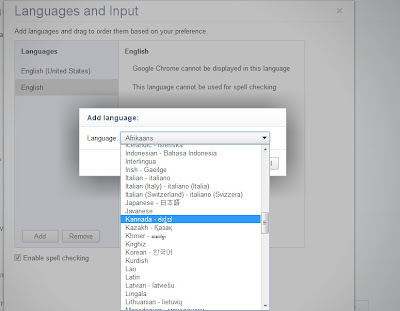 You did a great job, Now you can use Google Chrome in your Local Language !